Friends, today’s design resource is a chalkboard sign PSD mockup to creatively display your logo or typographic signs. 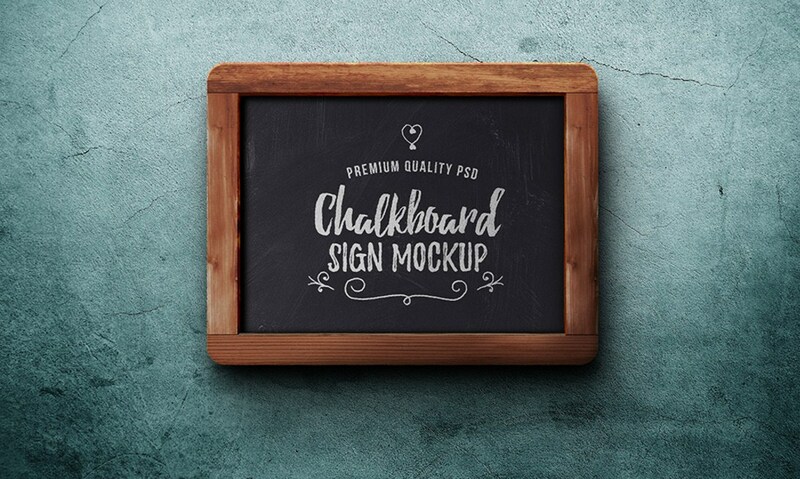 You can easily change the logo, chalkboard texture, and background to your need. To replace your own logo, just use the smart-object layer on the very top of the folders in the PSD file, and you can head over to the colors layers within the folders and add your own color. You can also change the logo color.